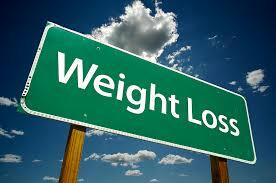 Though research is scarce, what is shown is that hypnosis works surprisingly well for weight control. Studies have shown that folks that used hypnosis lost more than twice as much weight as those who dieted without the hypnotherapy. Hypnosis has also been shown to help regulate the release of peptides that control how hungry and full you feel. This is one of the reasons why hypnosis can improved your eating habits. Emotional and stress easters are wonderful candidates for hypnotherapy. If you have tried every weight loss plan on the planet and you already know what you should eat, hypnosis could help you. If there are foods that cause you problems, the ones you have a hard time staying away from but just don’t have the will power to do so, hypnosis can help you can control your desires for them. You will find that you just won’t be as hungry as you used to be and you will WANT to eat better without the need to use will power. Instead you will use the power of your mind-body connection, easily and safely.